Organic Solutions is a landscaping, lawn care, lawn mowing, organic lawn fertilizer, tree service, and sprinkler company that serves Boise, Meridian, Eagle, Nampa, and the Treasure Valley. 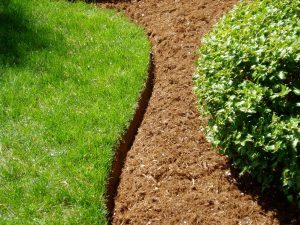 When it comes to aesthetics and design, well-defined lines create a finished look and when it comes to your landscape, edging is an important part of creating a beautifully manicured appearance. 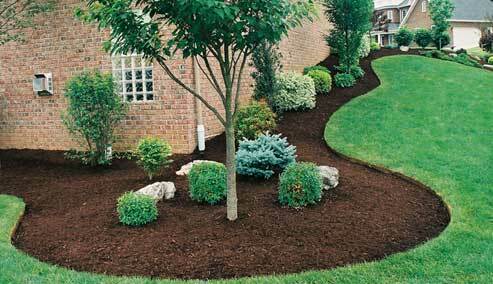 Besides enhancing the appearance of your outdoor space, edging will help prevent grass from invading your flowerbeds. Outline your edge – This step is only necessary if you are creating a new bed. 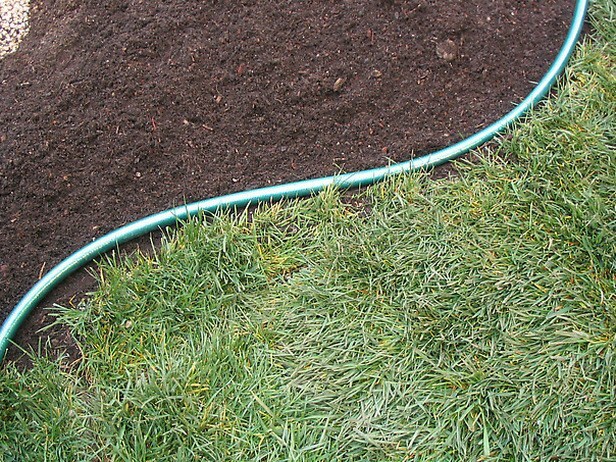 With a garden hose or rope, mark your desired lines. Remember that curved lines are more natural and are easier to maintain than straight lines. Cut your edge – Using a spade, half-moon edger or other tool designed for edging, refresh your existing edge. For new edges, Cut straight down between the lawn and garden bed about 6”. Then make another cut at a 45 degree angle toward the garden bed and away from the lawn until the two cuts meet. Remove Turf – You can easily remove the loosened turf by hand. If you have a compost pile, flip the turf chunks upside down and they will naturally die and become excellent mulch – if you place the grass right side up in the pile it could root and grow rather than decompose. 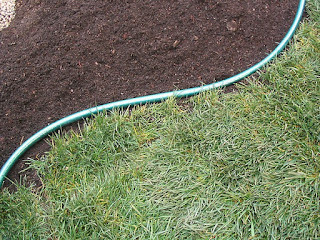 Create a trench – as you remove the turf, shaking off excess soil, you can mound the soil uphill towards the garden bed. This trench is important for water to drain and soil to fall into as well creating a nice clean look. 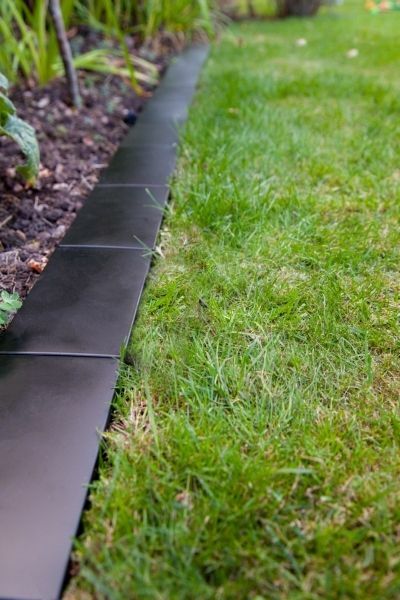 Hone the Edge – for extra clean lines, use hand shears and cut any remaining grass blades along the vertical edge. You can also do this step a couple of times during the season to keep your edges looking neat and manicured or use your trimmer each time you mow. Mulch the Bed – The final step is to add mulch to your edge as well as the garden beds. Garden beds needs about 2 to 3 inches of mulch which will help keep in moisture and suppress weeds. Besides the traditional trench edge, you can also use decorative edging such as bricks, stones, and fencing material or more permanent edging such as metal rails, concrete curbing or mortared bricks and stones. Finding materials that complement your existing home and landscape will enhance the overall effect and beauty of your outdoor spaces. Labels: Organic Solutions! Inc was rated the #1 landscape contractor in 2015 and 2016 by Thumbtack.com and is A+ rated from the BBB.